You’ve already seen how easy it is to make Homemade Taco Seasoning that is low carb and paleo, but have you ever looked at the ingredients of store bought taco sauce? It is full of ingredients that are far from real food and add unnecessary carbs to the mix. My fiance loves to use taco sauce, but after looking at the ingredients I just couldn’t bring myself to buy store bought any longer. I decided to come up with a recipe that was easy to make, but still full of real food ingredients. 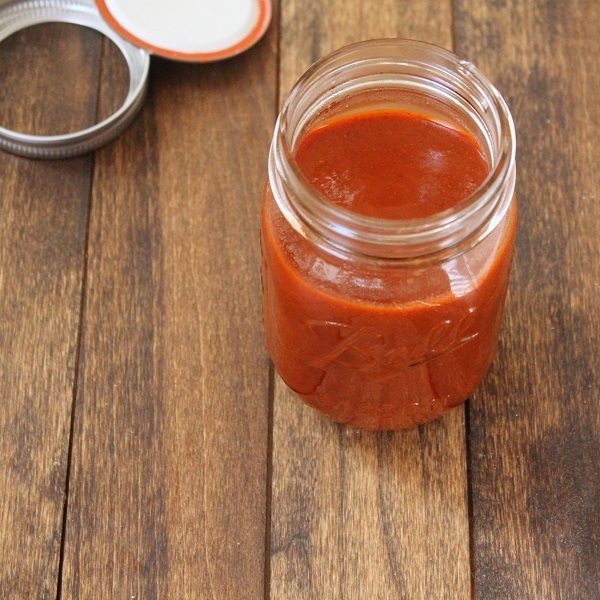 With just a few ingredients you can whip up a batch of Homemade Taco Sauce very quickly. No need to buy store bought ever again. Combine all of the ingredients in a medium sauce pan. Simmer for 10-15 minutes or until the sauce has reduced and thickened (stir the sauce occasionally).